Extracted Hemp Oil | This supercritical CO2 extracted hemp oil compound contains a spectrum of naturally occurring phytocompounds, terpenes, flavonoids and other beneficial phytochemicals, derived from certified Colorado hemp. 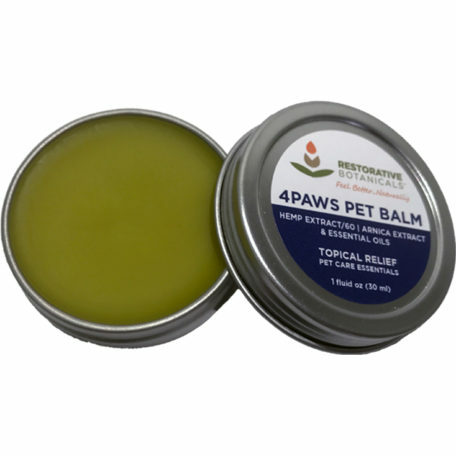 This extracted hemp oil is produced by using a low temperature carbon dioxide extraction process, free of harmful solvents and yielding a hemp oil extract that retains a broad spectrum of beneficial compounds from organically grown hemp farmed without the use of pesticides or herbicides. 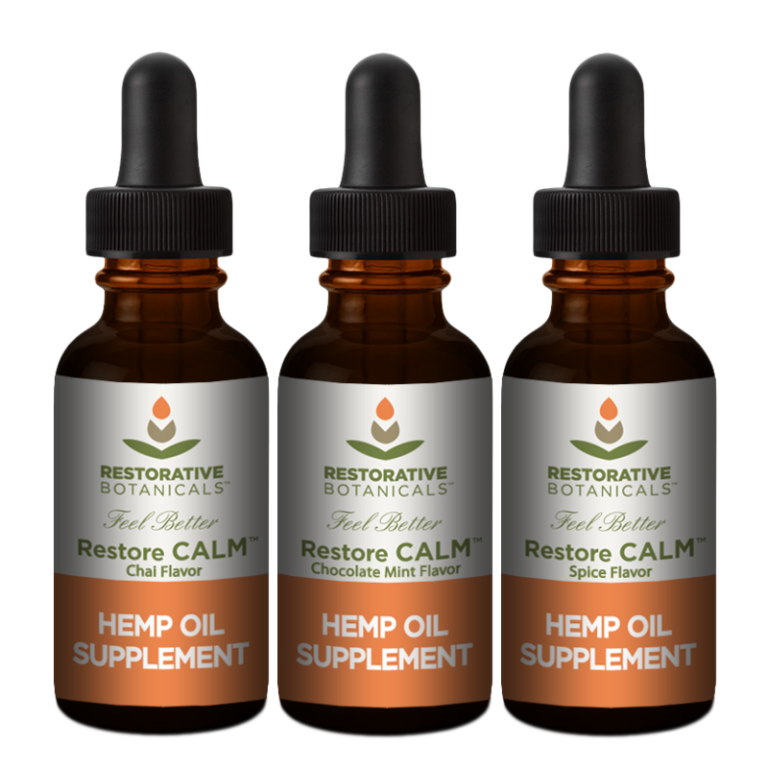 Natural Chai, Chocolate Mint or Spice Extract | Adds a delicious chai, chocolate mint or spice flavor to our Restore CALM™ Hemp Oil Blend without added sugar or sweeteners. 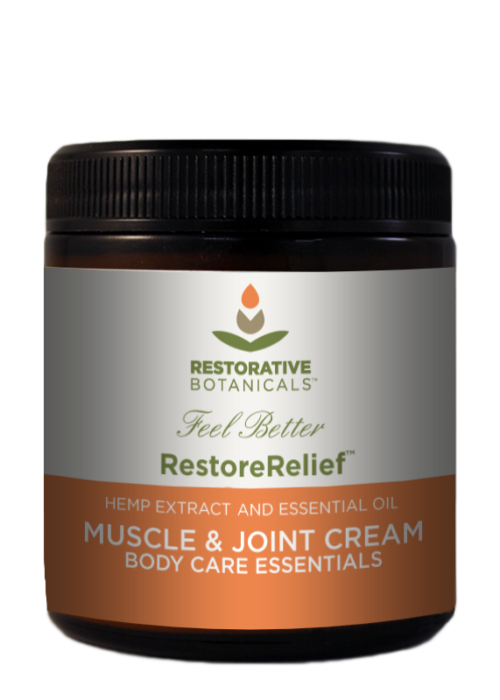 Restorative Botanicals’ hemp oil extract comes from organically grown, certified Colorado hemp plants, farmed without the use of pesticides or herbicides. This super food extracted hemp oil product is then tested by third party laboratories to insure product purity and quality. 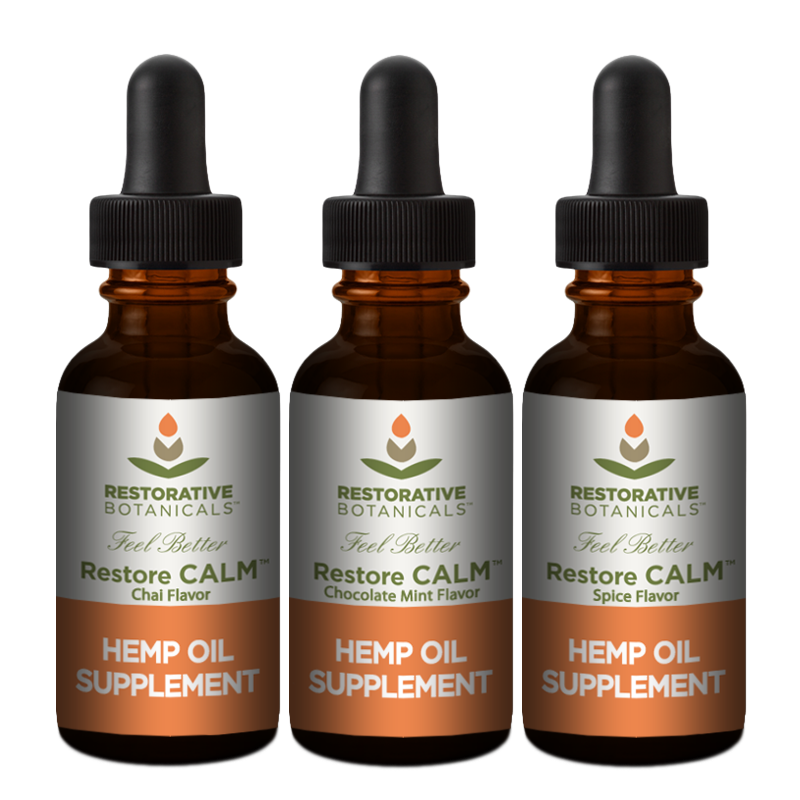 All product components incorporated into Restorative Botanicals’ hemp oil blends are released for manufacture only after passing through standardized and thorough quality control processes; and are released for sale after final finished product inspection. 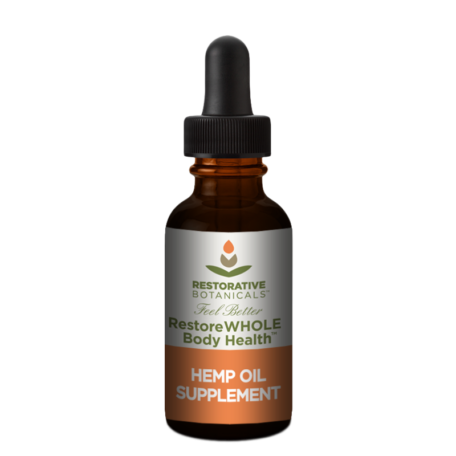 To be in compliance with federal government rules and regulations, we are not able make any health claims regarding our hemp oil supplement products.